As part of the Hayward Field Renovation hot rubber installation starts Thursday, April 18, 2019. There will be an odor associated with this hot waterproofing application. It is challenging to have a planned duration for this advisory due to the weather sensitivity of the application. The hot rubber cannot be applied when raining. Hoffman Construction is estimating this activity may continue off and on for two months pending weather. As part of renovations, the natural gas will be offline to Klamath Hall. Heating water will be impacted on the second floor causing spaces to be a few degrees cooler during the scheduled work. The contractor Lease Crutcher Lewis will be performing this work starting at 7:00 pm on 4/22 with a target completion of 5:00 am on 4/23. For questions or concerns please contact CPFM Design and Construction Project Manager Denise Stewart at 541-335-1258. For questions or concerns please contact CPFM Work Control Center at 541-346-2319. This was moved to April 19. On Friday, March 29. HVAC will be accessing rooftop equipment to complete equipment service and inspection. This should not affect the broadcast as they will not be directly over the studio. There will also be an inspection and servicing of interior equipment. This was approved by building occupants and UO Real Estate on March 8, 2019. 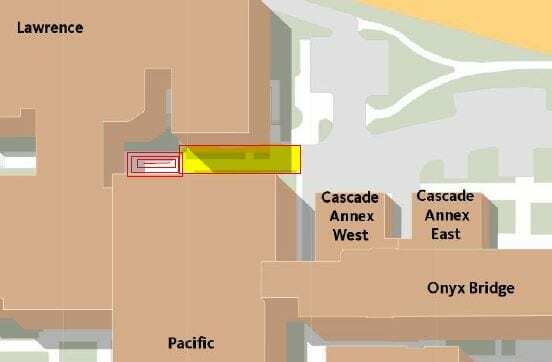 The network module in the AMAG panel has failed, the northwest and northeast access control system at Huestis Hall will offline for repairs through April 12, 2019. This means that occupants requiring after hour access will need to use the south exterior or the north exterior (next to Streisnger (George) Hall). For questions or concerns, please contact CPFM Work Control Center at 541-346-2319. Potable water will be shut off to the Millrace Studios I, II, & III on March 27 for the entire day to repair a leak on the potable water line. This shutdown requires a sink and restroom closure. The contractor Roto-Rooter will completing repairs. Crews hope to have service restored by 5:00 pm. For questions or concerns please contact CPFM Facilities Services Associate Director Kevin Farthing at 541-359-6633. NW Natural Gas and Brothers Plumbing will be onsite at Moss St. Children’s Center installing a new gas meter over spring break. The project will run from March 25 – March 27. EMU has reserved four parking spaces out front of the building allowing crews to complete repairs. All work is on the exterior of the building. Lane Forest Products will be on campus March 27 – 28 spreading bark. Please expect noise from bark blowing trucks and temporary obstructions in designated areas. Crews will be working from 8:00 am – 3:00 pm both days. For questions or concerns please contact CPFM Landscape Supervisor Phil Carroll at 541-246-0031. On March 26, 2019, many of our custodians will be participating in an off-campus training activity. As a result, there will be a reduction in service to all of the buildings cleaned by CPFM Custodial Services on that day. We anticipate that the cleaning needs in the building will be reduced during this time because of spring break; however, support will be available to respond if there is an urgent custodial need. Thank you for your patience and support of this vital employee development opportunity. We are continuing to perform corrective action on heating system components distributed in the building. The final activities to complete this work will be performed over spring break, from March 25th to March 29th. This work will not impact building services. The work involves replacing air and temperature sensors, moving sensors and replacing heating water valves in areas identified below. The majority of work will be done in ceiling spaces located in hallways, doorways and in selected rooms. Disruptions to these spaces will be for a short duration while the contractor is performing the work. As part of the third-floor renovation the contractor Lease Crutcher Lewis will be shutting down natural gas to Klamath Hall on March 27, at 7:00 pm with a restore time of 5:00 am on March 28. This is necessary while crews install valves to isolate the third floor from the rest of the building. This will be a building-wide natural gas shutdown. For questions or concerns please contact CPFM Design and Construction Manager Denise Stewart at 541-335-1258. 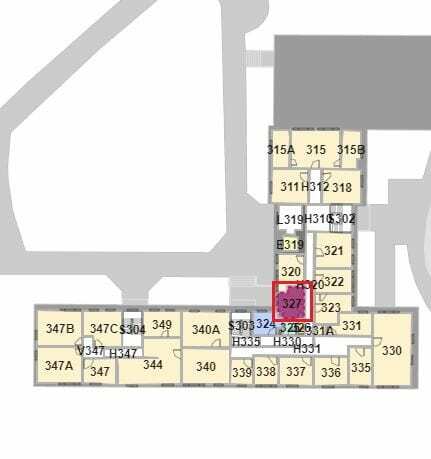 During the week of March 25 – March 29 the Access Control shop will be making upgrades to the northwest and northeast building entries. For questions or concerns, please contact Ken Straw at 346-5406. During the week of March 22 – March 29 the Access Control shop will be making upgrades to the north and south entries. This notice has been sent to campus wide Facilities Liaisons please share with building occupants. Hendricks Hall Restroom 327 will be closed for a remodel during Spring Break 3/25 – 4/3. The impact to the building should be minimal due to work being performed by the night shift carpenters. For questions or concerns please contact CPFM Facilities Services Structure & Support Manager Tad Lueck at 541-346-2273. As part of ongoing utility service work for the Black Cultural Center project, the fence line will be changing on the west and north ends of the project site. The fence line on Villard Alley has been shifted to accommodate construction vehicle access points. The sidewalk on 15th in front of the project will be closed starting Monday 3/25 and reopened on Thursday, 3/28 to allow for a new domestic water vault to be excavated and installed at the NE corner of the site. 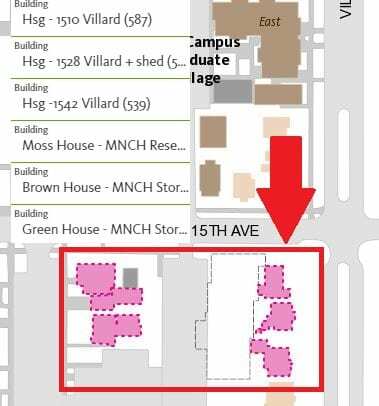 Pedestrian traffic will be routed to the north side of E 15th Ave.
For questions or concerns please contact CPFM Design and Construction Owners Rep Martina Oxoby at 541-346-5880. As part of the Tykeson Hall construction project, Fortis Construction will be repaving the sidewalk and ADA ramp from 13th Ave to the west entrance of Johnson Hall. ADA access will NOT be available during Spring Break, from March 23 – March 31. For ADA access to Johnson Hall, please call VPFA Office Staff at 541-346-3003. Additional site work will also be completed during this time. 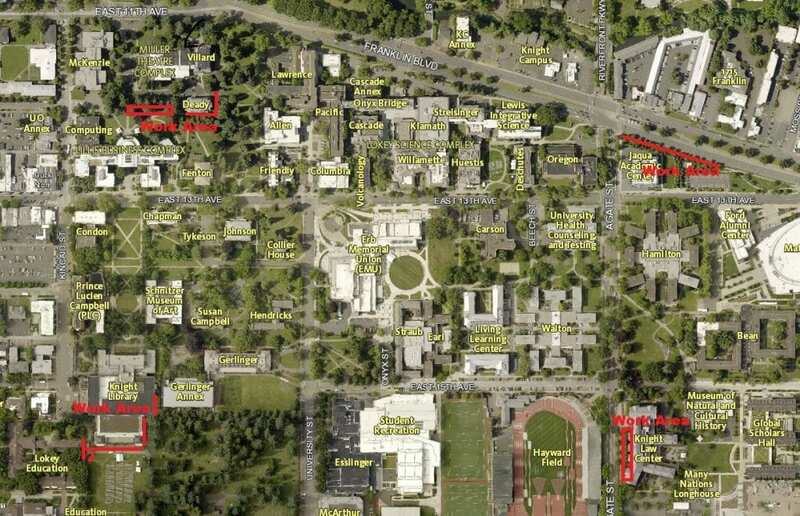 All thru-way pedestrian and bike traffic will be rerouted to the east side of Johnson Hall. In coordination with PE and Rec, CPFM Design & Construction will be conducting the flooring replacement and mat improvements to the Student Recreation Center rock wall area. Construction work is scheduled to commence 3/15 and continue until 3/29. The rock wall area will be closed during this time. Users can expect to hear normal and occasional construction noises such as hammering and drilling. A low to zero VOC adhesive with a faint non-hazardous odor will be used to install the tile. MSDS sheets will be on site and on file with EHS. Users will see the contractor, Preferred Construction & Rubenstein’s and their subs, working and entering/exiting the building with tools and materials during regular business hours. No utility disruptions or shutoffs are expected at this time. For questions or concerns please CPFM Design and Construction Project Manager Theo Davis at 541-346-1012. CPFM Facilities Services Plumbing Shop will be shutting down the domestic water on March 16 from 9:00 am – 11:00 am at Millrace I, II & III to locate a leak. Facilities coordinated this date and time with the College of Design. For questions or concerns please contact CPFM Facilities Services Plumber Ron Warren at 541-515-4428.